What follows isn’t a “how-to” manual or a program for Orthodox evangelism or church building. There are enough of those available on the market already. My concern here is to trace out the areas for the fruitful, dare I say, profitable, engagement of the free market by Orthodox Christians. As I argue below, while America has been a source of social and economic blessing for Orthodox Christians, it also has presented the Church with certain challenges. Chief among these is that the Church is in competition with other religions (Christian and non-Christian) as well as the broader, secular, culture for the allegiance of the human heart. And because we are embodied beings, competition for the human heart also includes competition for the material and social resources needed for Orthodox Christians to live our lives in a pluralistic society. We need these resources as individual and families but also as parishes and dioceses. While we might prefer to focus on theology and liturgy—these are after all our strengths—Orthodox witness in the marketplace of ideas can’t be limited to what we do well. Our witness must also extend to the economic and political dimensions. Christian and civil society as an ordered fullness. The person as ontologically and morally prior to society. The ascetical flourishing of the human person. A brief introduction to human rights in Orthodox Social Teaching. Christian philanthropy and human flourishing. Each of these themes is worth a book length study, indeed several such studies. What I’m doing here is merely introducing reader to these themes. This is maybe a good moment to say who I imagine is reading this work. Though I write as an Orthodox Christian priest, I’m not writing specifically to Eastern Orthodox Christians. Certainly, I hope my Orthodox brothers and sisters read what I’ve written but I’m not primarily writing for them. Rather, I hope that Christians outside the Orthodox tradition will pick up my work and use it to reflect on their own experience in bearing witness to the Gospel in a free market context. Sometimes we can see ourselves and our situation best when we look from someone else’s perspective. This is true for Orthodox Christians as well. Inviting Roman Catholic and Protestant Christians to reflect on my tradition from their perspectives will, I hope, help me see things about my Church, our pastoral situation and my own praxis as a priest that I might not see otherwise. To put it directly, I think there is profit not only in the free exchange of goods and services for money but also in the free exchange of ideas. You see, this is my overwhelming experience as an Orthodox priest ministering in a highly competitive—sometimes brutally so—free market of ideas. The competition makes me a better priest, a better disciple of Jesus Christ and a better human being. This isn’t to say there aren’t cost associated with this. It is only to say what any free market economists will tell you. Without risk, there is no profit. These words hold as true in our spiritual life as they do in economic life. 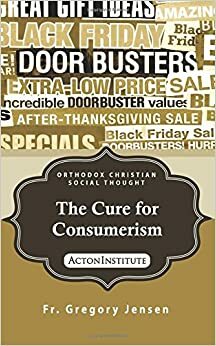 So, what has been the effects of the free market for the Orthodox Church? Let’s look at that next. ← What is Youth Ministry?